finger rest, headstock veneer and tailpiece are individually crafted in ebony. This instrument boasts tasteful walnut bindings. 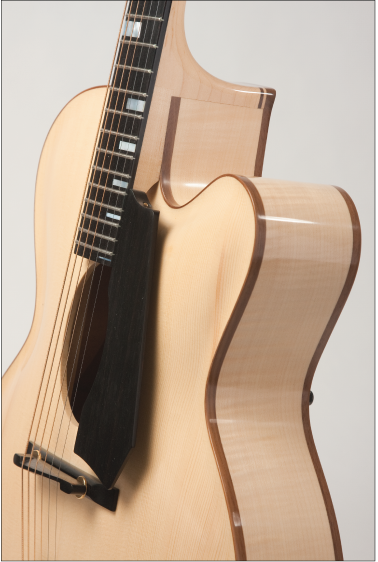 The finely tuned Engleman Spruce top has parallel bracing. The “Letain” signature fret markers are mother of pearl and are exquisitely inlaid into fret board. 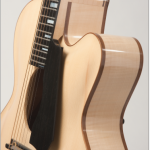 This stunning, fully acoustic Archtop has a fine, clear, warm, even balance.